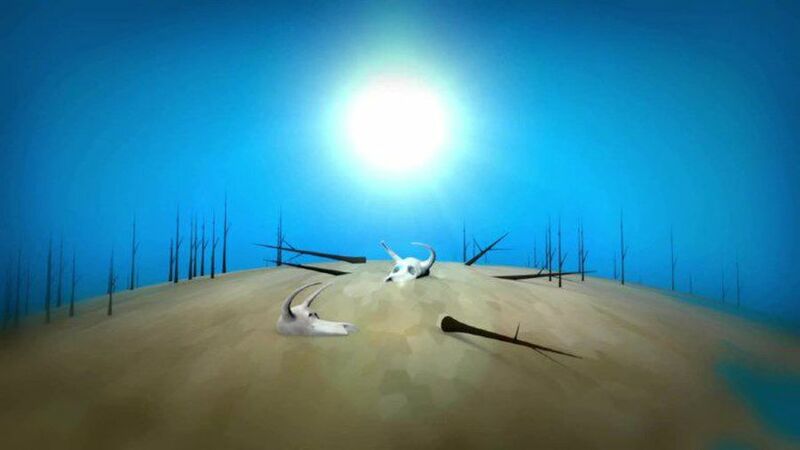 Videographic about global warming. 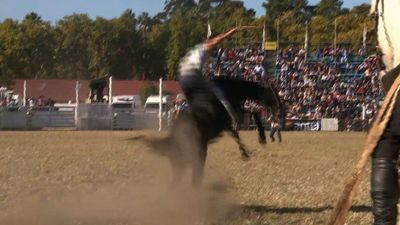 As many as a million fish are believed to have died along the banks of a major river system in drought and heatwave-battered eastern Australia. 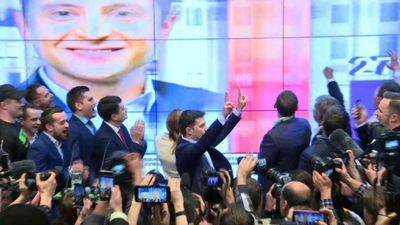 Comedian Volodymyr Zelensky, wins a landslide victory in Ukraine's presidential election and tells his supporters he will not let them down and encourages other-post Soviet countries to bring new leaders to power. 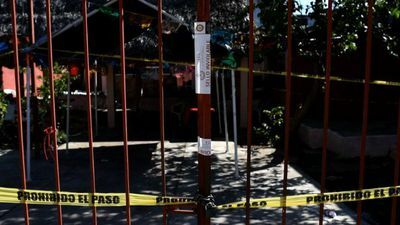 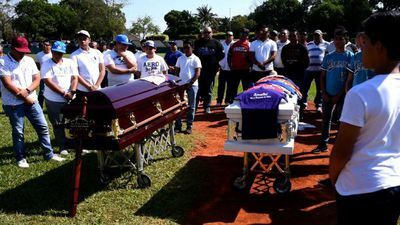 Relatives and friends gather for the funeral of 13 people, including a child, who were shot by a group of unidentified gunmen at a party in the violence-wracked eastern Mexican state of Veracruz. 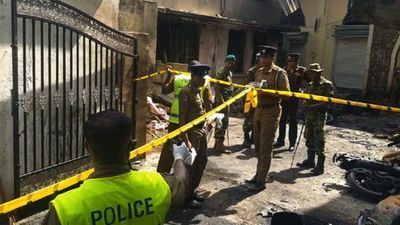 Authorities comb through St Sebastian's church in Sri Lanka's Negombo as the death toll from Sunday's bomb blasts that ripped through churches and luxury hotels in the country rose dramatically Monday to 290. 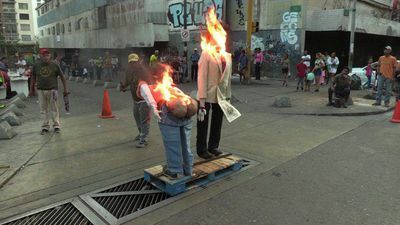 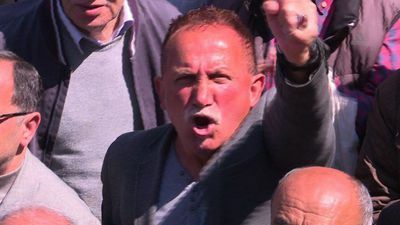 In a traditional Easter Day ritual Venezuelans burn effigies representing President Nicolas Maduro, opposition leader Juan Guaido, Donald Trump and the blackout that recently plunged the country into darkness. 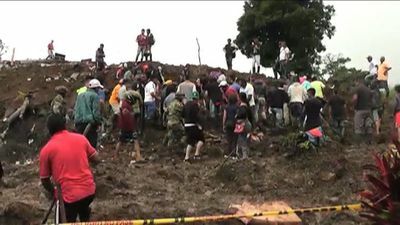 At least 17 people were killed and 13 others were missing after a mudslide that buried eight houses early Sunday in southwestern Colombia, authorities said. 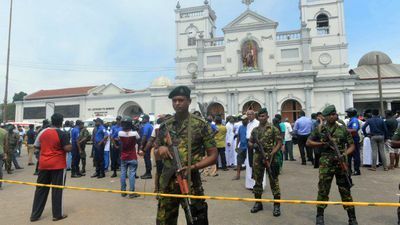 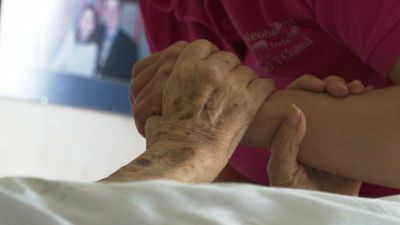 Almost 300 people are now known to have died in a series of bomb blasts that tore through churches and luxury hotels in Sri Lanka, in the worst violence to hit the island since its devastating civil war ended a decade ago. 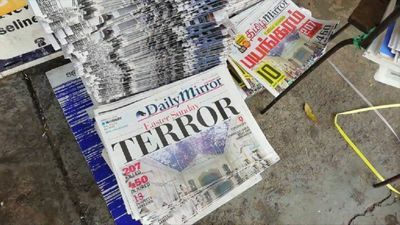 Sri Lankan newspapers run reports on the deadly Easter attacks on the front page, as police say that the death toll in the eight blasts has risen to 290 a day after the attack. 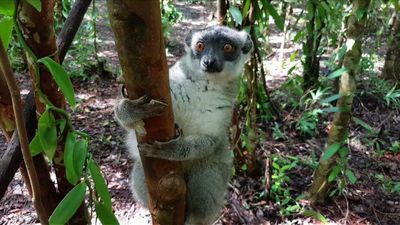 Vohibola forest in eastern Madagascar is in the grip of widespread deforestation. 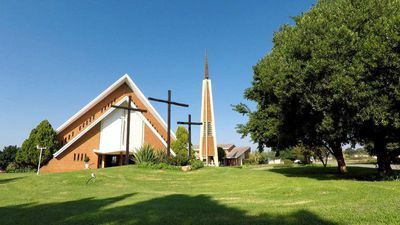 One hotel owner has been funding local task-forces for several years in a bid to try and protect the forest and the diverse range of wildlife that calls it home. 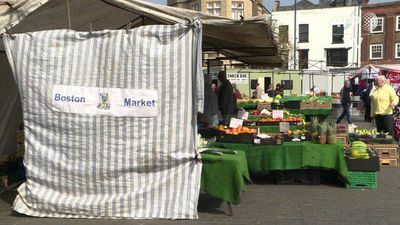 Nearly three years after the Brexit referendum, opinions have changed very little in Boston, the British town that voted most heavily in favour of leaving the European Union. 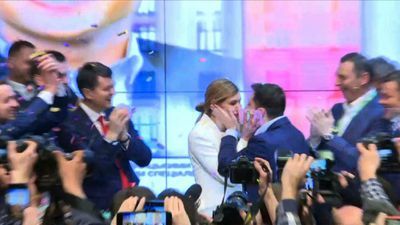 Volodymyr Zelensky and members of his campaign team celebrate at their party's headquarters after exit polls showed he won a landslide victory in Ukraine's presidential election on Sunday, trouncing incumbent Petro Poroshenko. 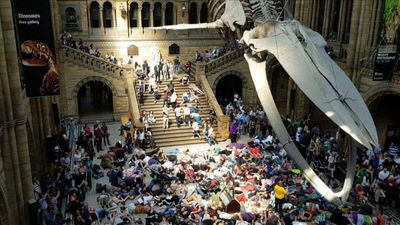 Police arrest climate protesters from the " Extinction Rebellion" movement blocking Waterloo Bridge in central London. 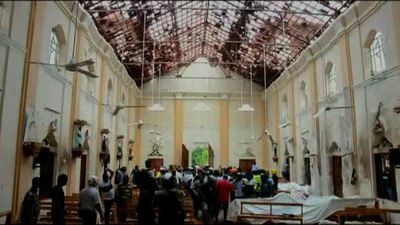 A series of eight devastating bomb blasts ripped through high-end hotels and churches holding Easter services in Sri Lanka, killing more than 160 people, including dozens of foreigners. 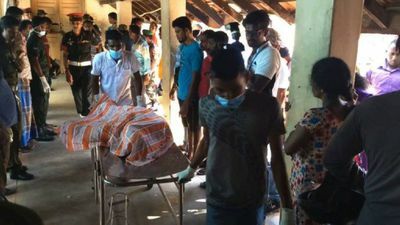 Hospital staff move bodies on stretchers in Batticaloa, Sri Lanka following a string of blasts ripped through high-end hotels and churches holding Easter services, killing at least 156 people, including 35 foreigners. 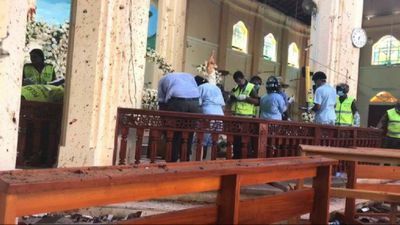 Police survey the scene at a church in Batticaloa, Sri Lanka after a string of blasts ripped through high-end hotels and churches holding Easter services, killing at least 156 people, including 35 foreigners. 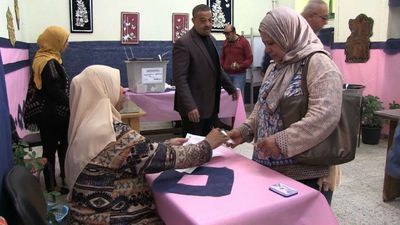 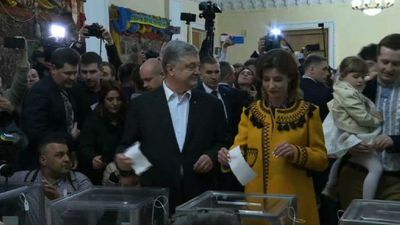 Ukrainian President Petro Poroshenko casts his ballot in the second round of the presidential election. 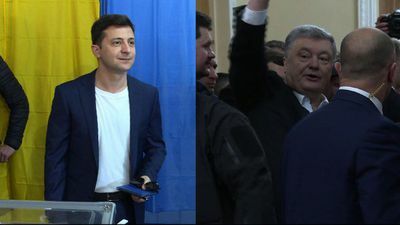 All opinion polls suggest Poroshenko is heading for defeat amid widespread anger over poverty, corruption and war. 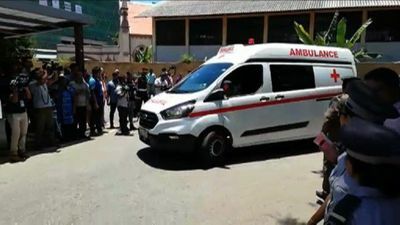 Ambulances arrive at a hospital in Sri Lanka's capital Colombo after a string of bomb blasts hit churches and hotels in the city and the death toll rises to 156, including 35 foreigners, say police.